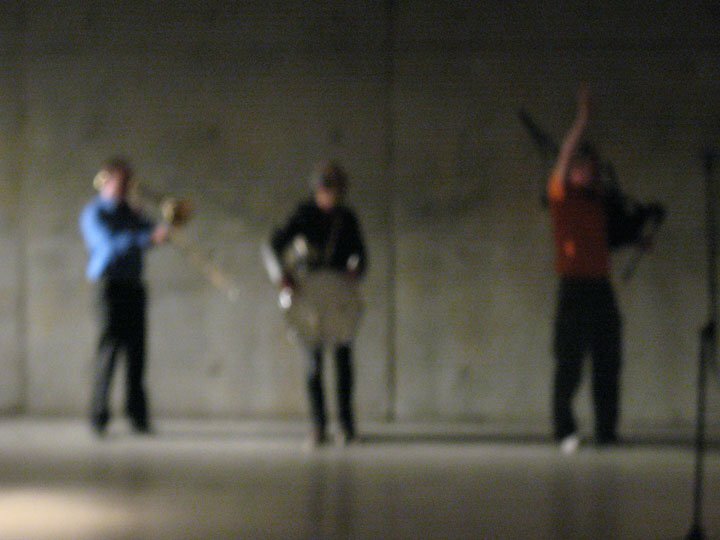 A performance of long note improvisations and compositions using spatial location as an organizing principle. These three acoustic improvisers are all masters of slow, subtly shifting improvisation. This is shared with a commitment to making rigorous new music in unusual contexts, including the outdoors — whether traveling the Sahara Desert with a trombone, Sean Meehan’s use of marginal spaces as concert locales, or David Watson’s experiences composing processions and parades. David Watson is an experimental musician with a penchant for the vernacular. 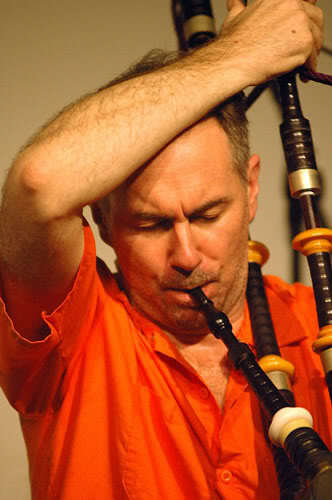 He is known for using bagpipes in contemporary music. In recent years, he has performed and recorded with Lee Ranaldo, Zeena Parkins, Ikue Mori, Tony Buck, Chris Abrahams, David Linton, Alex Waterman, Andrea Parkins, and Phill Niblock. He has been commissioned to create new-music pieces for marching pipe bands, and site-specific pieces for brass bands. He has scored the Martin Lucas film “Seeing Hiroshima” and was music director for the polemical renaissance play “The Inquisitive Musician” at the Stedlijk Museum in Amsterdam. Sean Meehan began performing in the late 1980s at the Amica Bunker series for improvised music, located at the Anarchist’s Switchboard and later ABC No Rio. For nearly twenty years he and Tamio Shiraishi have put on their summer concert series, always in different playful and devious locations throughout New York City. He is currently working on an audio book of Hermann von Helmholtz’s classic text from 1863, On the Sensations of Tone. Our special guest is a trombonist known for crossing between different styles and areas of music including contemporary avant-garde, rock, electronica and improvised music, with releases on various labels including Col Legno, FMR, Dilemma Records, Important Records, New World Records, Soul Jazz Records and Sub Rosa. Music has been this artist’s main activity since 1990, which started with a journey to the Sahara Desert, accompanied by a trombone. This journey and the sense of silent-space experienced there has been a continuous influence ever since.